Nice park that only the Federal Govt could provide. Senior's get 1/3 off all year in the older Cedars section of this park and that comes with two free tickets to nearby Upper Canada Village. These discounted sites are either unserviced or with 15 amp electric but come with a beautiful view of the Seaway and shipping traffic. There are full service sites available in the newer part of the park. Dump station, potable water and toilet/shower house nearby. 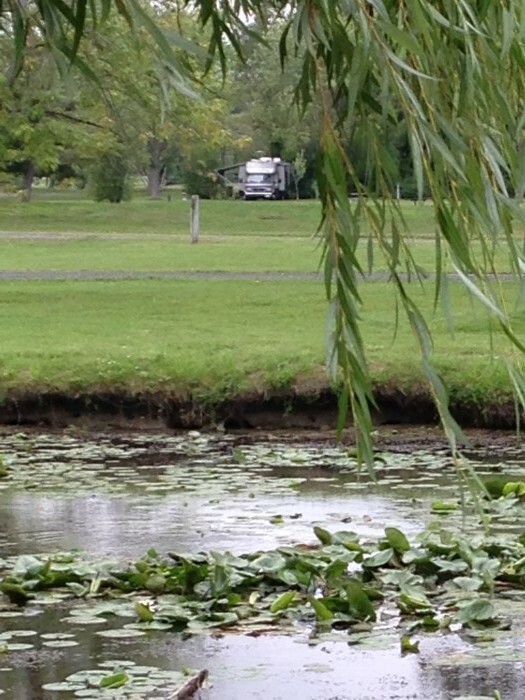 We camped at Riverside Cedar Campground in a Motorhome. Don't miss Upper Canada Village. Living history. Just a wonderful park and one of our favourites. Two parts to this park so you can elect what suits your family best. There are unserviced sites either on or adjacent to the Ottawa River with beautiful sand beaches and a clean restroom/shower house in the Ottawa River East or West campgrounds. There is also Brumm campground which is heavily treed and private with 30 amp electric. Almost all of the sites in Brumm are level pull throughs long enough for the longest rig and towed vehicle. The only inconvenience in Brumm is there is no separate shower house for this area so you must either use your own, unhook to drive, or face a long walk or bike ride. Potable water fill and dumping station on the way into the park. Water spigots throughout. Absolutely all the best of Ontario camping. We camped at Driftwood Provincial Park in a Motorhome. Got to visit Yeates General Store in Stonecliffe. LCBO bait cheese curds tackle souvenirs! Just a great park. We try to visit every year. 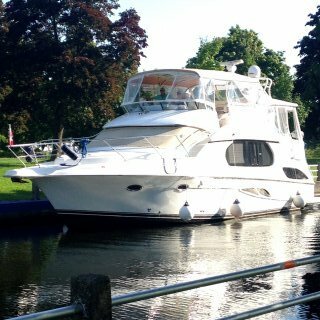 If you stay on the canal side you can chat with the boaters while they move by between the 2 locks. You get to watch the bridge open to allow a parade of beautiful boats go by. 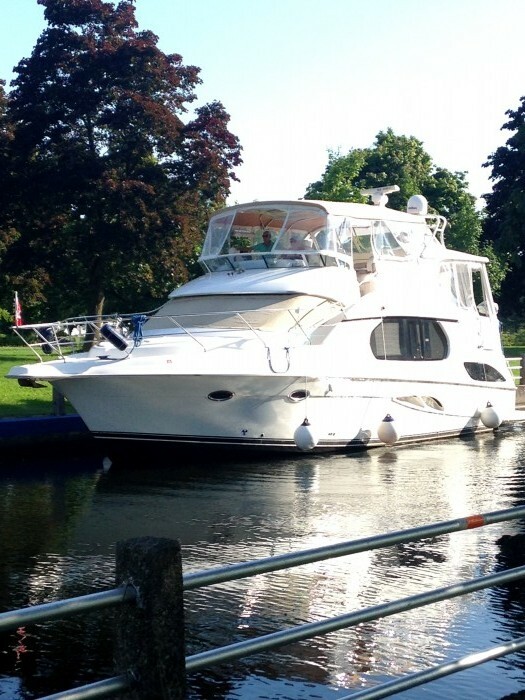 You are right in the middle of a picturesque town within walking distance to everything. Clean restrooms and showers, water and electric. Dump station. Even the free wifi is good. 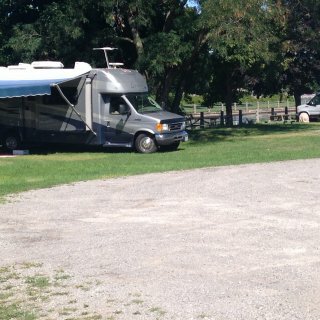 We camped at Victoria Park Campground in a Motorhome. Everything is nearby. Restaurants bars grocery stores Canadian Tire Beer Store and Walmart. There are beautiful sites in this park. Unfortunately they are all seasonal. Those left for transients are as tight as in south Florida. It feels like you are camping in someone's back yard. We met family who came from the south while we came from the north. Unfortunately during our family dinner one of the seasonals started a fire throwing on bags of leaves and then started to chain saw up a tree. Dinner ruined between the noise and the smoke. The only adult we saw was a lady working in the front office. Although she was pleasant all other tasks were being handled by teenagers. So there was no enforcement of rules. Loose dogs and golf carts piloted by 4 or 5 children running around even after dark. Roads partially blocked by multiple vehicles parked near seasonal sites. Such a shame as it could be a wonderful park. 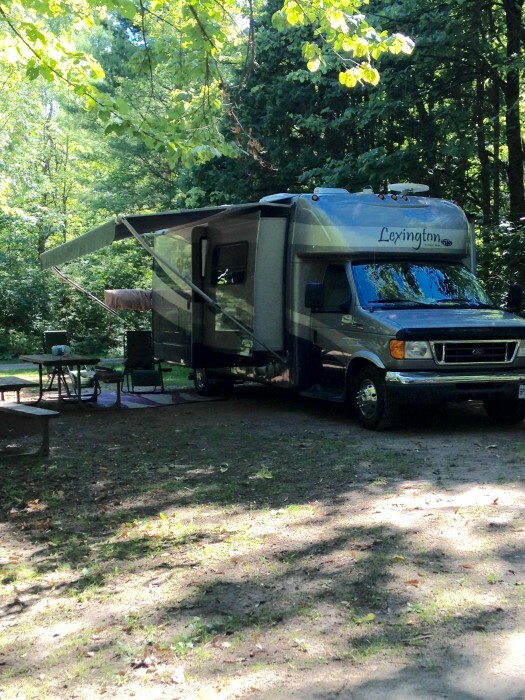 We camped at Gravenhurst / Muskoka KOA in a Motorhome. The name says it all. In and Out. As they say location location location. We make the dash from the frozen north to the sunny south staying in motels until Lake City. 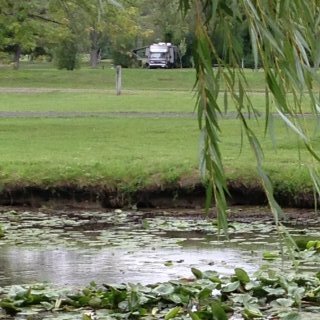 This park is perfectly located to open up your rv and buy provisions to start camping. The park is right next door to Olive Garden and other restaurants, just down the road from Walmart and adjacent to fuel. Park staff is friendly and accommodating. Large sites at the back allow good satellite reception while those at the front have cable. This is nothing fancy but all we need. Some permanent residents but very friendly. This park wins in the sign category. I always laugh at the ubiquitous signs at KOA but my all time favourite sign has to be in the washrooms at this park. Theft of toilet paper will result in removal from park! Written on the stall wall in marker no less lol. We camped at In & Out RV Park in a Motorhome. Every restaurant you can think of nearby. Walmart just down the road. Gas station. Great little shop 5th Gen Farms nearbyells fresh produce, quality meats and pre-made meals. Very easy check in with a guide to our site. Good sized lots but wide open with little privacy. Decent number of cable stations and free wifi. Some long term rentals and a few park models around the edges. This park is beautifully located for northerners doing the snowbird run south and looking to provision their rig. Biggest perk for us is that this park is within walking distance of restaurants and shopping. If only it had south Florida weather! Clean showers and laundry and a dog walk area. Pleasant and friendly staff. We would definitely stay here again. We camped at Starke / Gainesville N.E. KOA in a Motorhome. IHOP, Chinese restaurant, steak house and Save A Lot very close by. Less than a mile to Walmart, less than 2 to Winn Dixie and a host of other restaurants. This park has the benefit of spectacular south Florida weather. There are only a few sites devoted to transient travellers with the vast majority of the park being long term snowbirds. There is a large francophone population. Sites are typical south Florida tight with no cable available in the transient sites. We never were able to get any wifi signal even on the patio by the office. Good camp store and excellent restaurant on site even a small farmer's market on Friday mornings. If you are a joiner there are many many activities. Small but beautiful pool area. Although advertised as pet friendly there is no dog park and a plethora of semi rude private signs warning pet owners about what can't happen where. There is absolutely nothing except the pool for children. Staff were very friendly and helpful. We camped at Road Runner Travel Resort in a Motorhome. Just a few miles to beautiful beaches, shopping and restaurants. If you have business or pleasure in the nation's capitol, you can't beat this cg. Almost right in town, just a quick blast down the 417 or 416 to everything Ottawa has to offer. Great customer service too. This is a gem. 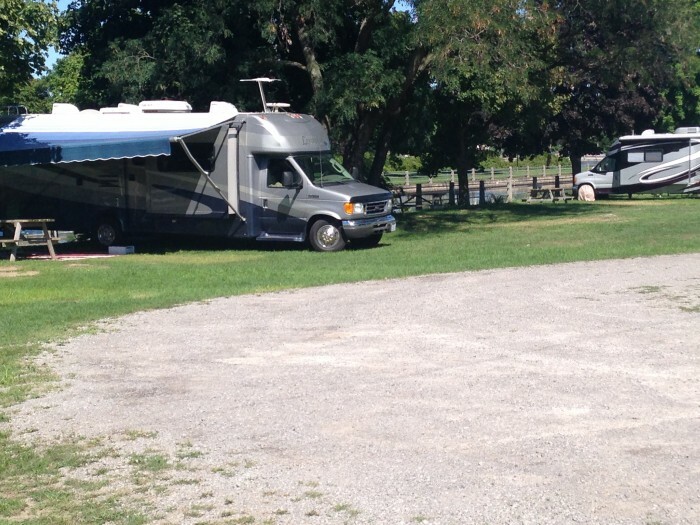 We camped at Wesley Clover Parks Campground (formerly Ottawa Municipal Camp) in a Fifth Wheel. Very convenient for Canadians shopping in Watertown. Clean, older campground with seasonals that are nicely kept. Great customer service and pet friendly too. We enjoyed our stay and will be back to stimulate your economy next year! We camped at Merry Knoll Campground in a Fifth Wheel. We were very impressed! Park has large, private sites, lots of vacancies too. Contrary to some other posts, our Wi-Fi works well. Just a few minutes into town where we found grocery stores and lots of the normal chain restaurants. The rates are all inclusive and seem very fair. We will sure return if we come back to the area. We camped at Rock Crusher Canyon RV Resort in a Fifth Wheel. Very friendly and helpful staff. Lots of big sites, and many vacancies, too. A bit wet this year of course and on a busy roadway under construction. We stayed 2 nights and would have stayed more if cable TV had been available. Wi-fi was only available in the games room or near the front office, not in your trailer. Too bad. We camped at Stage Stop Campground in a Fifth Wheel. Nice place. We stayed 2 nights and then moved farther south because it was so cold this year. We sure would stop again. Very pet friendly (which is important to us). Even gave us bones for our 2 dogs. Nice historic town nearby to visit too. 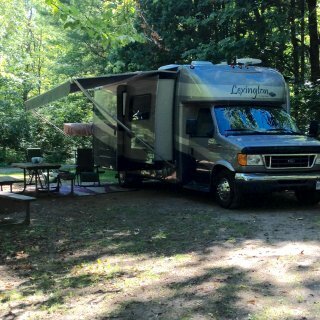 We camped at Lake City Campground & Resort in a Fifth Wheel. We are camped here right now. I was shocked to read some of the negative reviews. This is a great park with a friendly competent staff. Sites are a bit tight but considering the amenities like shuttle service to Disney you can't beat it. I'd return again for sure. We also took advantage of the pay 6 get 1 free offer. We camped at Orlando Southwest KOA in a Fifth Wheel.